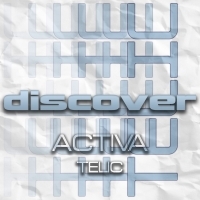 As John Askew departs from his A & R role at Discover and Activa takes over, it couldn't have been scripted better that the first release following the announcement is Activa's latest single for the label - and what a single it is!! As always, Activa pulls out all the stops - the attention to detail is sublime and each sound is hand crafted making sure that the track, as with all Activa tracks, has its own distinctive flavour. From the throbbing bass through to the stabs, riffs and everything in between - this is club music at its very best. It gets even better when you find out that this is one of the taster tracks from Activa's forthcoming album - the eagerly awaited follow up to "This World". Stand by for another big year for Activa! Telic is just the start!! 'Telic ' is available now from Beatport and iTunes.